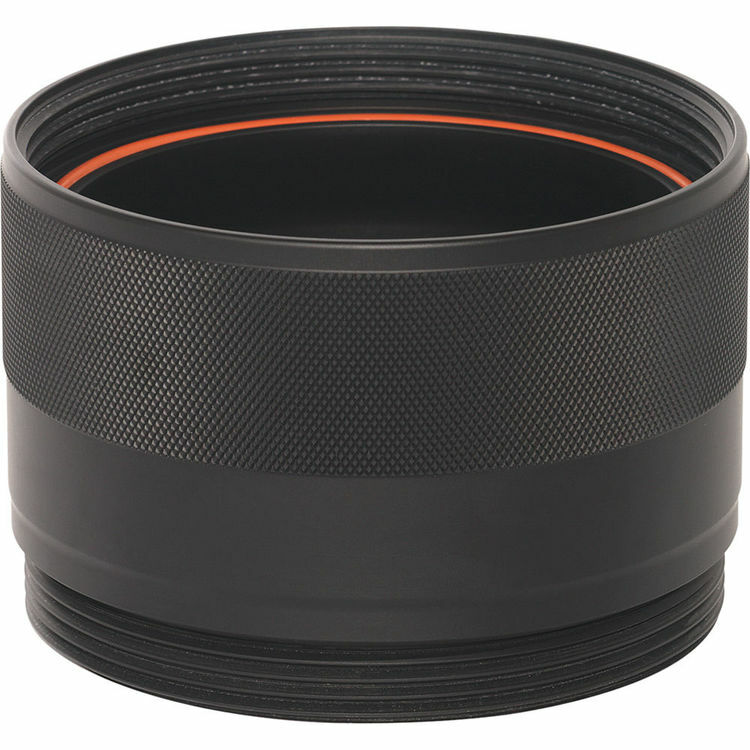 For use with the Nikon D4 or D4s DSLR series. 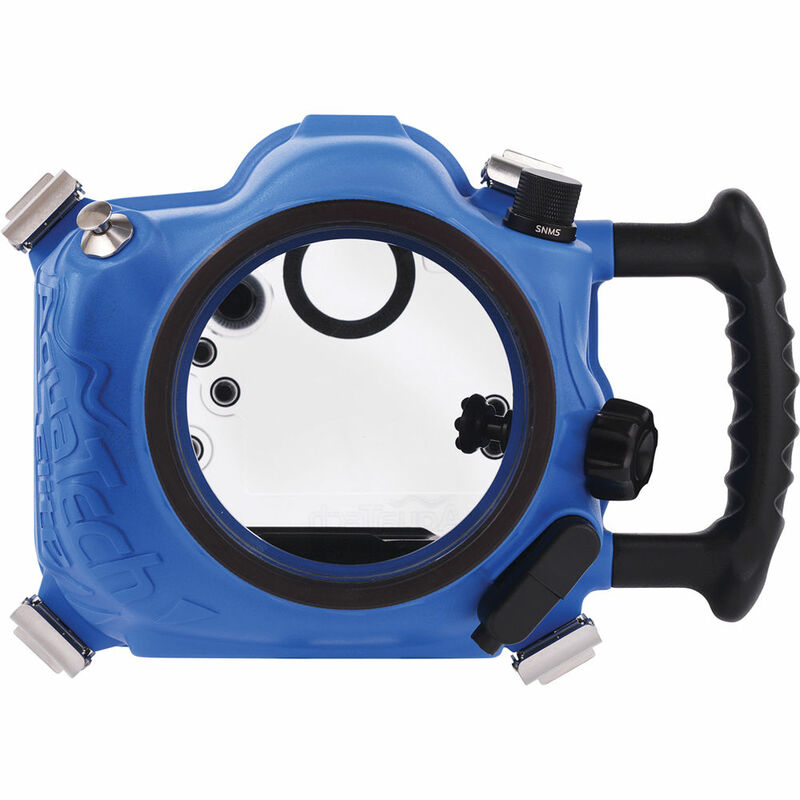 Whether you’re doing video or photography, the D4 housing will allow you to shoot over or underwater featuring a depth rating of 33′. It features tactile, mechanical controls to provide access to important camera functions and an ergonomic design centered around the side grip for optimal handling and comfort. 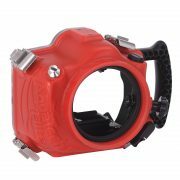 The housing has a polyurethane body with reinforced quick-release clips and buttons made of stainless steel, aluminium and other high quality plastics. Waterproofing – Depth rating of 33′, designed for shallow water and surface use. Shouldn’t be operated below 15′ for longer than five minutes. 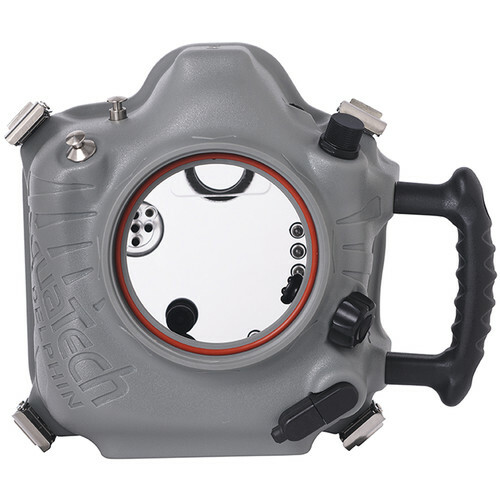 Controls and Operation – Camera functions available via backplate include: Menu, Playback, Zoom in, Zoom out, AF-On, Info, ISO, OK, Live View, Video/Stills, Mode, Shutter, Multi control pad, Rear control dial. Optional pistol grip or 27” pole shutter extension for remote firing and focus control for blur-free images captured with ease. 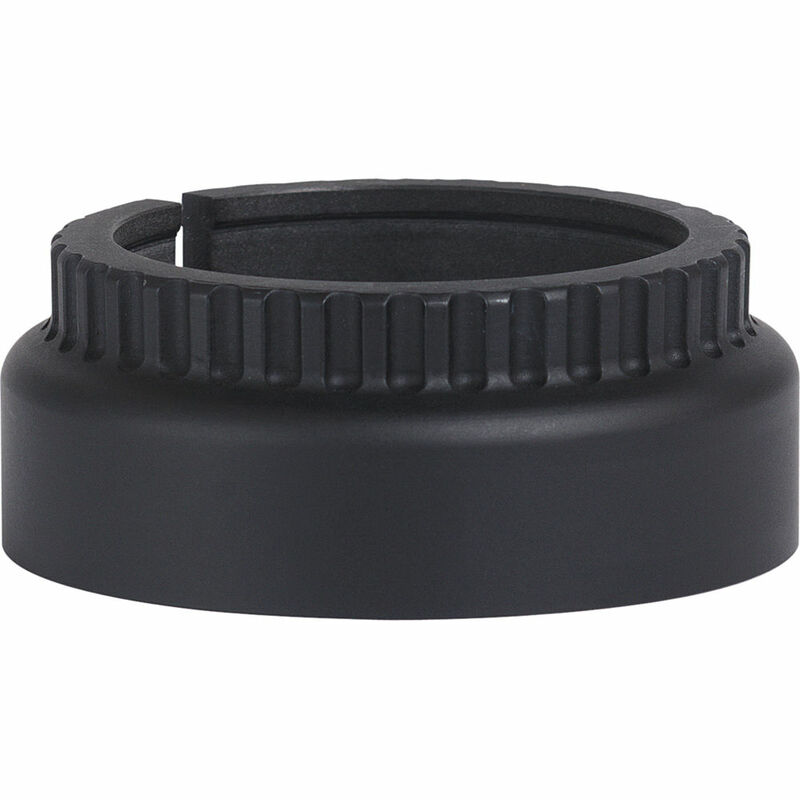 Mounting – 3/8” – 16 threaded tripod mounting point. Lens port system – Must be hired with lens ports from Camera Hire, interchangeable ports are available for wide-angle, macro and zoom lens. Please check with staff for compatibility.